The California Current Ecosystem (CCE) is a vibrant and dynamic marine ecosystem formed by upwelling of ocean water along the coast of California, which is influenced by water currents and weather across the Northeast Pacific Ocean. Such coastal upwelling ecosystems are known for high production of phytoplankton and rich biodiversity. indicates warm water intrusions in CCE. Photo by M.R. Stukel. 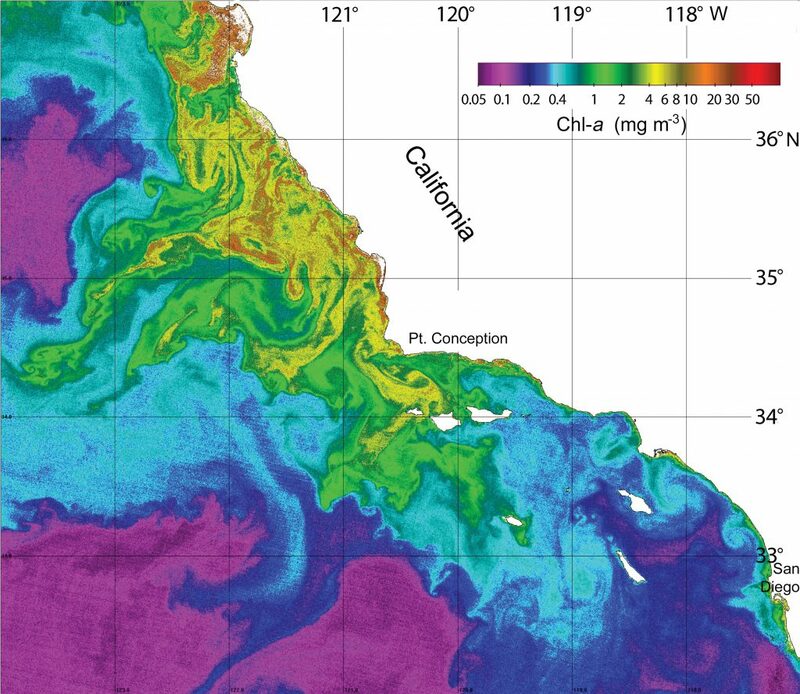 Since 1949, scientists have been observing the CCE in an ocean monitoring program known as CalCOFI, over an area off the southern California coast that ranges from San Diego to just north of Point Conception. More recently, satellites and drifting floats have been recording detailed measurements of oceanic properties that scientists can use as an additional means to measure changes in the coastal ocean. In 2004, a grant from the US National Science Foundation drove the formation of the CCE Long-Term Ecological Research (CCE-LTER) site, which has permitted even deeper study of this fascinating marine ecosystem with the addition of many automatic sampling technologies. CCE-LTER Lead Investigator, Dr Mark D. Ohman and his team from the Scripps Institution of Oceanography at the University of California San Diego, use data from the CCE site to understand how marine ecosystems respond to large-scale changes in ocean temperature, acidity, dissolved oxygen, and anthropogenic disturbances. In addition to a wide array of satellite sensors, the team uses many advanced technologies to measure ecological and environmental factors that impact the CCE plankton food web. They use a squad of remote-controlled, sonar-equipped underwater gliders that can patrol for up to 100 days, measuring both the vertical position and density of plankton in a region of the ocean, along with temperature, salinity, and various chemical properties. While gliders cover a large spatial area, fixed-location moorings take measurements of a specific spot frequently and over an extended period of time. When used together, the moorings offer an in-depth look how an event unfolds in a specific area, while the gliders provide broader context to what is happening in the water surrounding the mooring. On shore radars map the movements of surface currents up to 150 kilometres off the California coast. Over the past few years, the CCE-LTER research team has begun to deploy a multitude of new autonomous drifting instruments with specialised sensors, which collect data on key parts of the planktonic food web and the physical and chemical factors that influence them. In addition to the broad range of automatic sensors, Dr Ohman and the CCE-LTER team also regularly take to sea to perform fine-scale shipboard measurements. On a recent research cruise, 37 scientists and graduate students worked together around the clock for 30 days to understand the changing food web. With such a wide array of tools at their disposal, the team is able to gain comprehensive understanding of the region, even on days when it is too cloudy for satellite measurements, using instruments that extend far below the ocean’s surface. Planktonic copepod, Oithona. Illustration by W. Giebrecht, 1892. 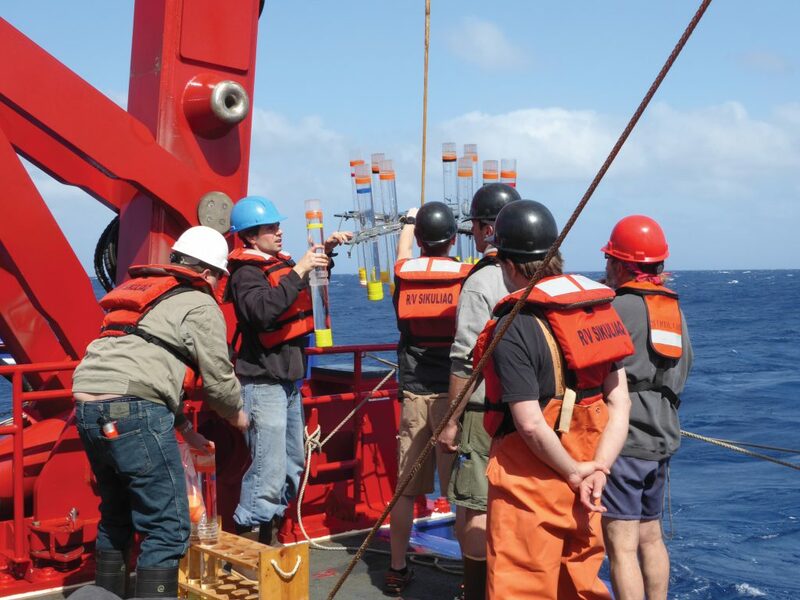 This comprehensive sampling program has allowed them to collect incredibly detailed and diverse measurements of ecological changes in the CCE, including the growth of bacteria and phytoplankton, grazing rates by drifting marine animals, and the rates of transport of carbon and other elements from the sea surface deep into the ocean’s interior. They measure the structure of the food-web community using DNA-based methods, underwater cameras, microscopes and by investigating the chemical signatures of certain organisms. The team can then relate changes in plankton communities to environmental measures such as ocean temperature, acidity, and the availability of dissolved nutrients and trace elements such as iron. By leveraging CCE-LTER data, Dr Ohman’s team has been able to describe ecological responses to abnormal ocean weather events in amazing detail. Diatoms and dinoflagellates imaged with epifluorescence microscopy. Photo by M.R. Landry lab. From 2014 through 2016 there was a sequence of abnormal warming events affecting the Northeast Pacific Ocean. First, in the winter of 2013–2014, a large mass of warm water, nicknamed ‘The Blob’, formed in the North Pacific south of Alaska. This warm anomaly was the first in a series that occurred over the next year from the Arctic to Baja California, altering patterns of coastal upwelling in multiple places along the western coast of North America. Spring of 2015 appeared to be normal, but this was quickly followed by a major El Niño event that lasted until the following spring. The El Niño event also caused significant warming of ocean water in the Pacific. The warm anomalies themselves are concerning, but even more concerning are the long-term ecological consequences of such events happening repeatedly over a short period of time. Numerous negative effects of the warm anomalies have been reported, including harmful algal blooms, contamination of shellfish populations, and impacts on seabirds and sea lions. With its long, detailed record and advanced measurement technology, CCE-LTER provides an ideal site for studying the effects of marine temperature and other anomalies, and measuring their impact on the local ecology. Dr Ohman’s team has described many of the ecological changes seen in the CCE following these abnormal warming events. They are using these data to inform advanced models of ecological responses to ocean warming with climate change. Coastal upwelling filaments, as illustrated by Chlorophyll-a concentration from OLCI on Sentinel 3A. Processed by M. Kahru, SIO. Ocean fronts occur when a moving cold mass of water encounters a warm mass of water, or vice versa. Such fronts are often sites of heightened activity for marine life, where nutrients are exchanged and populations of plankton move and mix. They frequently stimulate the proliferation of plankton, in particular phytoplankton. Phytoplankton are green, chlorophyll-producing single-celled plankton that consume carbon dioxide in the water, much like plants on land. They are a critical component of the biological carbon pump, as they convert carbon dioxide into organic matter, which can be consumed by zooplankton and other marine animals, before sinking to the ocean floor as faecal matter and carcasses. As carbon dioxide is the primary driver behind global climate change and ocean acidification, this ocean carbon pump is critical for removing carbon dioxide from the atmosphere, thereby mitigating its warming effects on the planet. Following the warm anomalies and El Niño, the number of ocean fronts dropped dramatically across the CCE. Accordingly, there were massive drops in phytoplankton populations. Given the disturbance in the numbers of phytoplankton, the CCE-LTER team sought to understand the effects of the warm anomalies and El Niño event on ocean carbon cycling: the production, grazing, sinking, and degradation of different forms of carbon. The team examined how ocean warming and the influx of tropical waters impacted the persistence of different forms of carbon in surface waters. To their great surprise, they found that carbon sinking rates did not decrease following the warm events. While fewer phytoplankton were produced overall, the organic matter that sunk to the deep ocean remained steady. Marine zooplankton populations were still producing faecal matter and contributing to the biological carbon pump. This is a critical finding for the accurate modelling of carbon dynamics in ocean ecosystems. 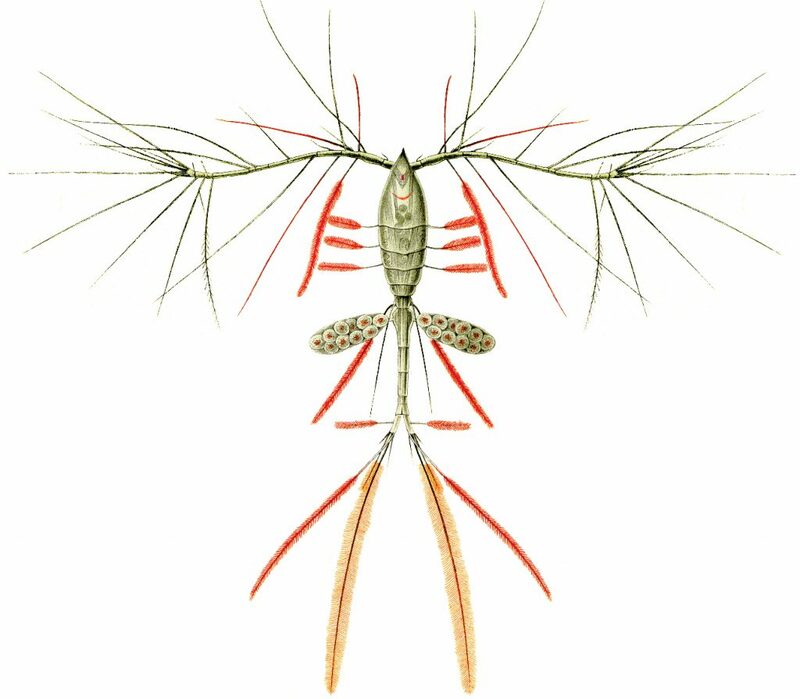 Copepods are tiny marine crustaceans that form the majority of zooplankton worldwide and are critical to the food web of numerous ecosystems. They are the most abundant animals above the sea floor. Without adequate numbers of zooplankton, many species of fish, marine mammals, and seabirds are without a food source. 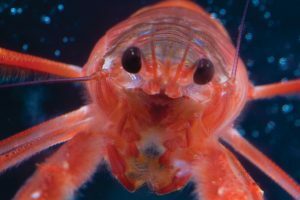 Copepod reproduction is often used as a way to measure the growth rates of animal life in a marine system, as they form the basis of many larger animals’ diets. 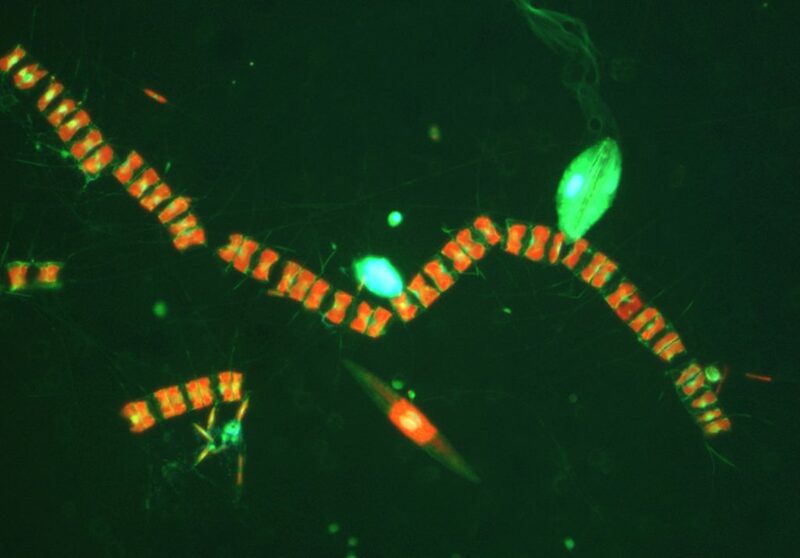 Copepods themselves typically eat phytoplankton. The CCE-LTER team found that during abnormally warm events, the reproductive rate of these little creatures maintained its normal relationship with food availability – fewer phytoplankton generally meant fewer copepods. However, temperature did not appear to have any direct effects on their reproduction. This suggests that models can predict copepod abundance based on phytoplankton levels. The CCE-LTER team then used the 70 years of data from the region to evaluate how zooplankton populations as a whole were impacted by the warm anomalies and the seven major El Niño events that occurred during over that time period. They found that while the total number of zooplankton was only slightly affected by the abnormal warm events, the numbers of different types of zooplankton in the region shifted dramatically. As populations of one species dropped in number, another would boom in its place. However, the populations ultimately showed remarkable resilience to the abnormal weather events, recovering to their normal composition within a year of each major warming anomaly. What remains unknown is whether this resilience will persist following future El Niño events, as the ocean warms further still. These zooplankton abundance data help to explain why warming events that reduce the number of phytoplankton do not reduce the amount of carbon being sequestered to the ocean floor through faecal matter. Sorting copepods for experiments at sea. Understanding how fluctuations in ocean temperatures impact carbon sequestration is of great significance as global climate change increases the frequency of abnormal warming events. This requires an in-depth appreciation for the complex ecology of the oceanic communities that form the biological carbon pump. Dr Ohman and his team at the CCE-LTER site use an array of advanced measurement technologies to illuminate the interplay between environmental changes and the CCE food web. Their discovery that zooplankton levels of carbon sequestration during a warming event remain steady despite drops in phytoplankton is an important finding in oceanic ecology with major implications for models of carbon movement. Warming events are predicted to grow increasingly common with global climate change and it is critical to understand how they will shape the Earth’s ecosystems. The forecasting models built with CCE data will help scientists to predict how this major coastal upwelling ecosystem will respond to these changes and to understand the consequences for the global carbon cycle. Dr Mark D. Ohman earned his PhD in Oceanography from the University of Washington, Seattle. 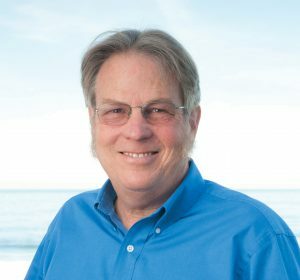 He is a Distinguished Professor of Biological Oceanography in the Integrative Oceanography Division of Scripps Institution of Oceanography, UC San Diego, as well as Curator of the Scripps Pelagic Invertebrate Collection. As a specialist in marine zooplankton, Dr Ohman serves as the lead Principal Investigator of the California Current Ecosystem Long-Term Ecological Research (CCE-LTER) site, where he is currently working on multiple projects to quantify the effects of climate change on plankton populations and develop novel technologies for measuring marine ecosystems. RM Morrow, MD Ohman, R Goericke, TB Kelly, BM Stephens, MR Stukel, CCE V: Primary production, mesozooplankton grazing, and the biological pump in the California Current Ecosystem: Variability and response to El Niño, Deep Sea Research Part I, 2018, 140, 52–62. MD Ohman, K Barbeau, P Franks, R Goericke, M Landry, A Miller, Ecological Transitions in a Coastal Upwelling Ecosystem, Oceanography, 2013, 26, 210–219. 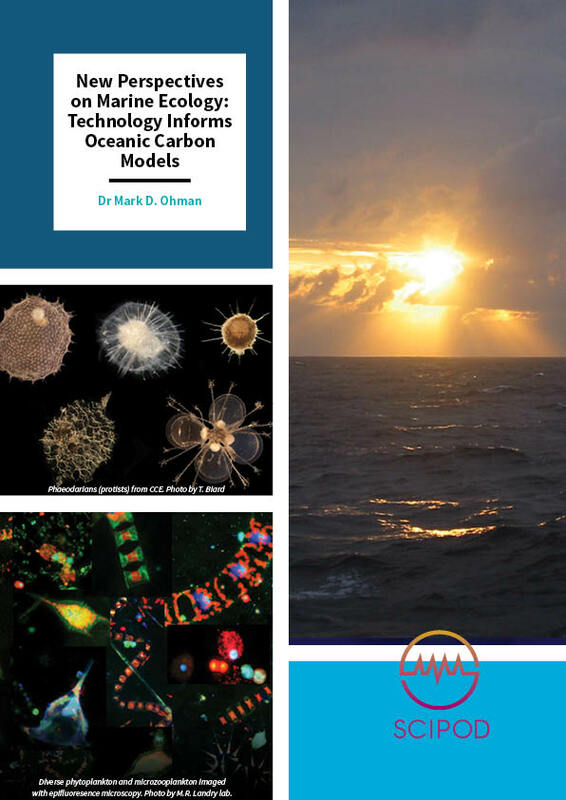 MD Ohman, D Rudnick, A Chekalyuk, R Davis, R Feely, M Kahru, H‐J Kim, MR Landry, TR Martz, CL Sabine, U Send, Autonomous Ocean Measurements in the California Current Ecosystem, Oceanography, 2013, 26, 18–25. JR Powell, MD Ohman, Changes in zooplankton habitat, behavior, and acoustic scattering characteristics across glider-resolved fronts in the Southern California Current System, Progress in Oceanography, 2015, 134, 77–92. MD Ohman, JB Romagnan, Nonlinear effects of body size and optical attenuation on Diel Vertical Migration by zooplankton, Limnology and Oceanography, 2016, 61, 765–770.